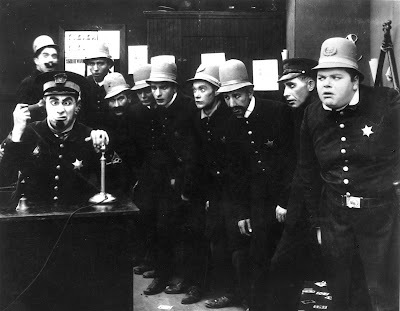 NCCPR Child Welfare Blog: The Keystone Kops of commissions holds another conference call: We listen, so you don’t have to! 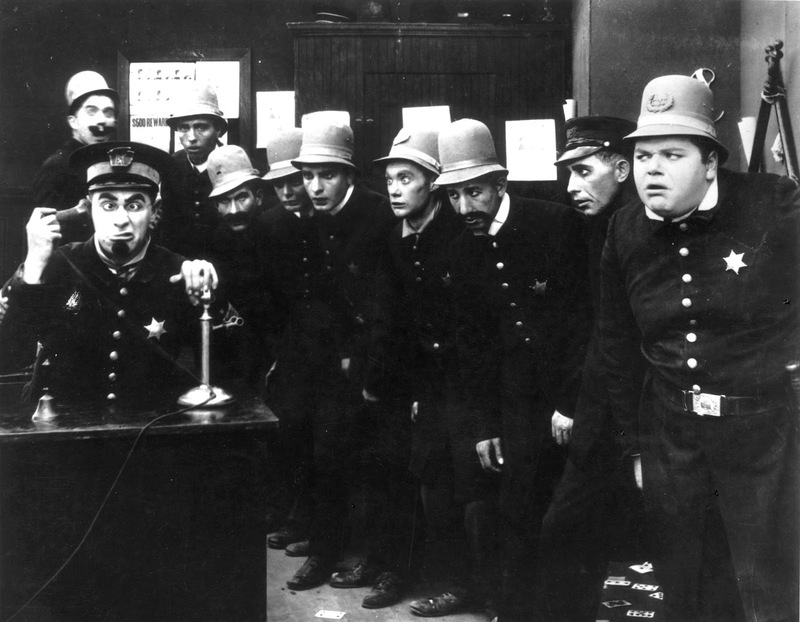 The Keystone Kops of commissions holds another conference call: We listen, so you don’t have to! The "Commission to Eliminate Child Abuse and Neglect Fatalities"
held a conference call Saturday. ● Commission chair suggests raiding scarce prevention funds to pay for more child abuse investigations. ● The Commission vs. the evidence base. ● Meet Michael Petit, born again fiscal conservative. ● One commissioner raises questions about keeping drafts hidden from the public. After NCCPR issued its comprehensive “pre-buttal” to draft recommendations by the “Commission to Eliminate Child Abuse and Neglect Fatalities” the Commission responded immediately – they stopped making their drafts public. (See the discussion below concerning whether this is legal.) So now they conduct long, drawn-out conference calls discussing later drafts and other documents that no one outside the commission can see. It’s sometimes been necessary, therefore, to draw inferences concerning what, exactly the commission is talking about. If any commissioner feels these inferences are inaccurate, the Commission is welcome to set the record straight – by releasing the documents and the tape recordings it makes of its conference calls. When we last left the “Commission to Eliminate Child Abuse and Neglect Fatalities” they were debating a recommendation for a “surge” in which states would be forced to reopen thousands of cases of alleged child maltreatment in which children were allowed to stay in their own homes, in order to see which ones should be torn from everyone they know and love and consigned to the chaos of foster care after all. There would be no comparable look at children already trapped in foster care to see if they could go home. Another draft recommendation calls for prohibiting state child abuse hotlines from “screening out” any call alleging child abuse or neglect involving a child under age 5, no matter how patently absurd that call might be. Even among calls that are screened in, 87 percent turn out to be false. We estimate this recommendation would increase investigator caseloads by 44 percent, and almost all of that time will be spent spinning their wheels as they look where abuse and neglect are least likely to be found – stealing time and effort from finding children in real danger. Either instead of, or in addition to, asking for more money, it’s not clear which, Sanders suggested that the Commission might want to recommend letting states use money from something called Title IV-B. This is the meager pot of money the federal government now makes available, in part, for prevention and family preservation. Even though the evidence is clear that it is prevention programs, as well as broader anti-poverty efforts, that actually curb child abuse fatalities, Sanders is proposing allowing states to divert money from such efforts and pour it into investigating more families and taking away more children. This is a bit like telling states: Hey, you know that federal money that now goes to food stamps for poor families – how would you like to spend it on hiring more cops instead? It’s not hard to imagine the result. Actually, we know the result because it’s already happening: Many states already raid funds from the Temporary Assistance for Needy Families program (TANF) – the program that replaced “welfare as we knew it” to fund child abuse investigations and foster care, now Sanders is proposing to rob poor families again. At another point there was some discussion of making the far bigger program that funds foster care and adoption, Title IV-E available for these investigations as well. And one time I would have thought that wasn’t so bad. But, as it happens, right now, for the first time in decades there is serious discussion in Congress about actually allowing those foster care funds to be used for prevention and family preservation – soon there may even be legislation to that effect. But some on the Commission already appear ready to swoop down and urge that some of that money be carried off to fund giant schemes for traumatizing thousands – maybe more than a million – children every year with needless child abuse investigations. Sanders made his suggestion at a particularly revealing moment in the deliberations. He’d just finished admitting, in effect, that the Commission had failed. But that one evidence-based practice had nothing to do with screening in more hotline calls or “substantiating” more cases or taking away more children. No, the one and only evidence-based practice they found was a well-known, highly regarded home visiting program known as the Nurse Family Partnership. In other words, a prevention program. That’s exactly the kind of program that might be funded by, say, Title IV-B – if David Sanders doesn’t succeed in getting that money diverted into all those things that don’t work! recommendation is just putting lipstick on a pig. Now, Sanders seems to have come up with a new shade of lipstick. Michael Petit, the actual guiding force behind the Commission, and the person who, judging by the discussion at Saturday’s conference call, suddenly sprang the surge idea on the group late in its deliberations, has made clear that the purpose of the surge is to investigate more families and remove children who might be at risk. But Sanders now is trying to reframe the surge – as a research project! (After all, he admits there’s no evidence it will actually reduce fatalities.) The theory is that by looking at all fatalities for the past five years (which, in small states, is likely to be an extremely low number) and finding common “risk factors” and then barging into every family that has at least one such “risk factor” we’ll somehow learn more about how to prevent child abuse deaths, even if we don’t actually prevent any. Sanders offered no evidence that this approach to “research” actually works, nor did he cite any researchers who know how to study the issue who are clamoring for this approach to studying it. Michael Petit is the commissioner whose constant cry can be boiled down to “Spend more money! Spend more money! Spend more money!” But on Saturday, he was singing a different tune. That’s because the issue was a prevention initiative. A subcommittee dealing with issues that include racial bias proposed a plan involving a special kind of court in which representatives of all the organizations providing services to families were right there at the courthouse, ready to step in immediately to provide the help a family needed to prevent abuse and neglect and stay together safely. Instead of a collection of referral slips, the family would get immediate help with whatever was needed, perhaps housing, or job training, or drug treatment. It’s not entirely clear how it would work – because the actual document under discussion is secret – but it sounds similar to this initiative in San Antonio. Quite a lot, probably. As noted above, and in our full report, there is no evidence at all that a surge or anything similar will prevent child abuse deaths. David Sanders himself admitted as much. In contrast, both ChildTrends (speaking of abuse in general) and the Center for Public Policy Priorities, speaking specifically about fatalities, found that serious prevention efforts are about the only things that do work. If there’s one thing child protective services agencies love to do it’s hide their errors behind “confidentiality.” In fact, the Commission appears likely to recommend that Congress demand more transparency from state child welfare agencies when it comes to how they investigate child abuse fatalities. But for the Commission, transparency does not begin at home. On Saturday’s call, one of the commissioners, Theresa Covington, said people had complained to her about being unable to follow deliberations because the actual documents being discussed are now withheld from the public. She asked in particular about written comments commissioners have circulated about the drafts. It’s not clear if she was aware of the fact that even the drafts themselves are secret. Sanders blithely assured her that the secrecy is just fine because the Commission regularly checks with the General Services Administration. That is the federal agency which tells commissions like this one whether what they’re doing is legal under various statutes, including open government laws. ● It’s not hard to get a government agency to tell another government agency what it wants to hear. Look at the handstands the Bush Justice Department did to justify torture, for example. ● Even if, in fact, hiding the drafts and other documents is legal, that doesn’t make it right. There is nothing in any law prohibiting the Commission from demonstrating the sort of transparency it appears ready to demand of others. But apparently David Sanders, Michael Petit and some others on the Commission want to wait until they’ve found enough lipstick for the pig.